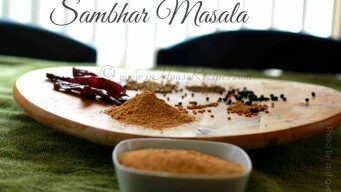 Sambhar Masala as you know is an ingredient in most famous South Indian Sambhar. 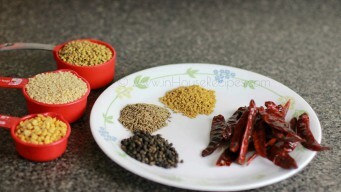 This powder is made with a mixture of various spices, Gram and Urad Lentil. 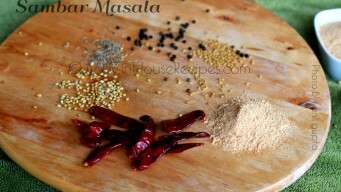 Masala is a hindi word for the powder that's made by fine grinding the ingredients. This fine powder can be preserved for up-to a year. There could be many different versions of this recipe based on the regional preferences. For example, the Andhra (Indian state called Andhra pradesh) style may have a bit of variation from Kerala or Chennai. Some people also define the Sambhar name with specific community also. They may call it Iyer Sambar! 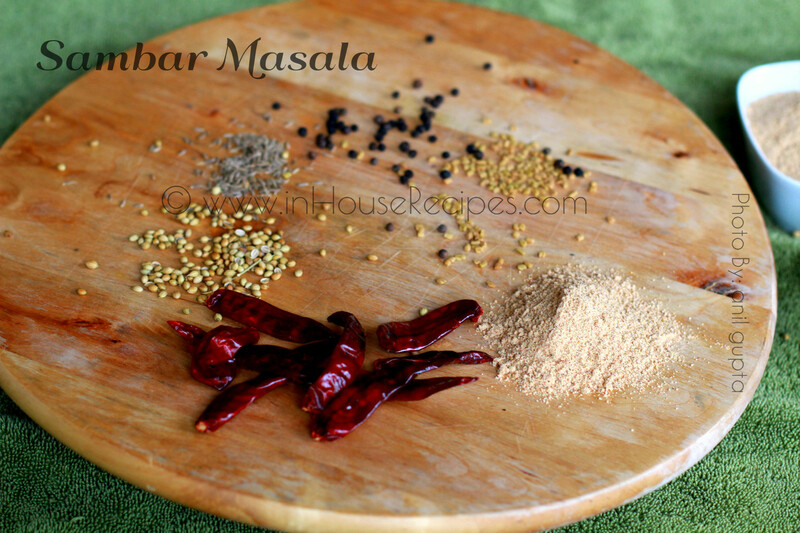 This tried and tested recipe for Sambar Masala or Powder is what we use in our kitchen. This may be all-together a new version as we are North Indians and have our own taste for South Indian recipes. Even the Sambar's spelling has an extra letter 'h' (Sambhar). It adds a unique flavor and aroma to the dish. 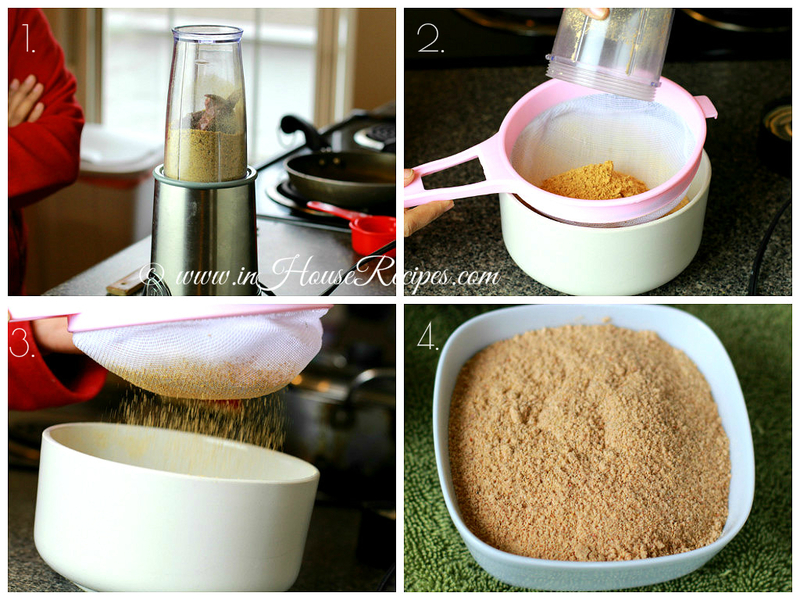 Here we present a simple way to make it easily at home. 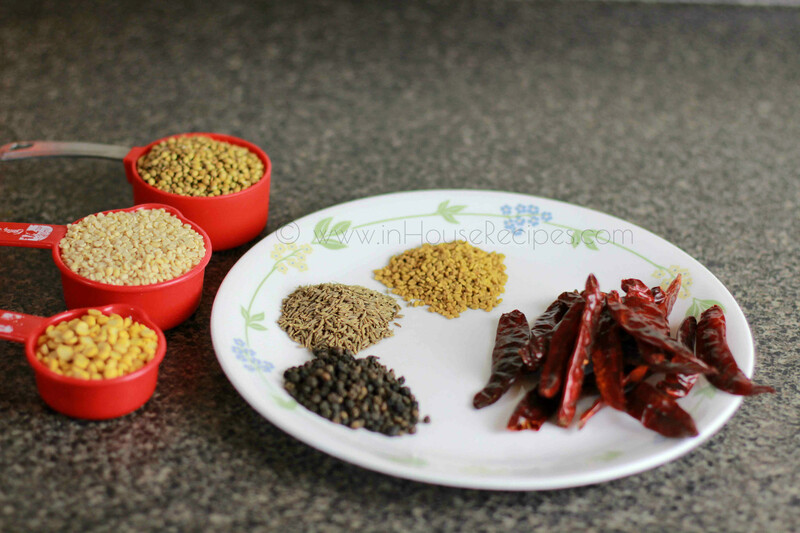 If you are looking for a Sambar powder substitute, you would have to use the spices and Dal powder while making the Sambar. We do not know of any other second option to make an authentic Sambhar. 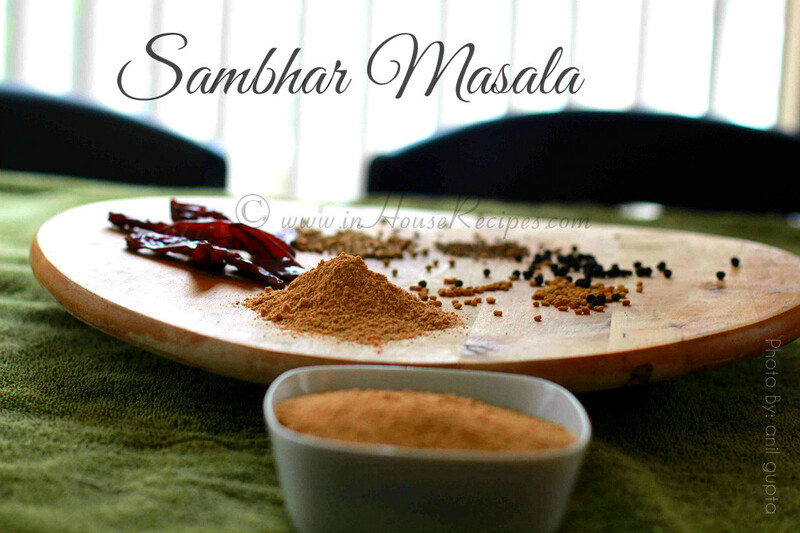 This is our authentic Sambar recipe, which we made without using this Sambar Powder! Heat a non stick pan on high flame. 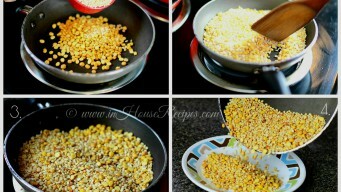 Add split Bengal Gram and Urad Lentil and roast them. 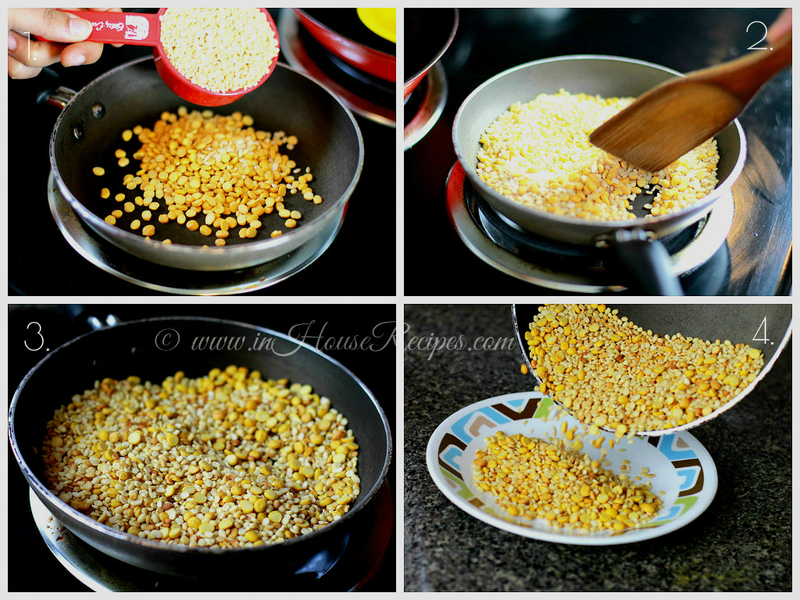 Turn the stove to medium flame and roast them until they turn light golden in color. Once done, take them out in a plate. And keep aside to cool down. 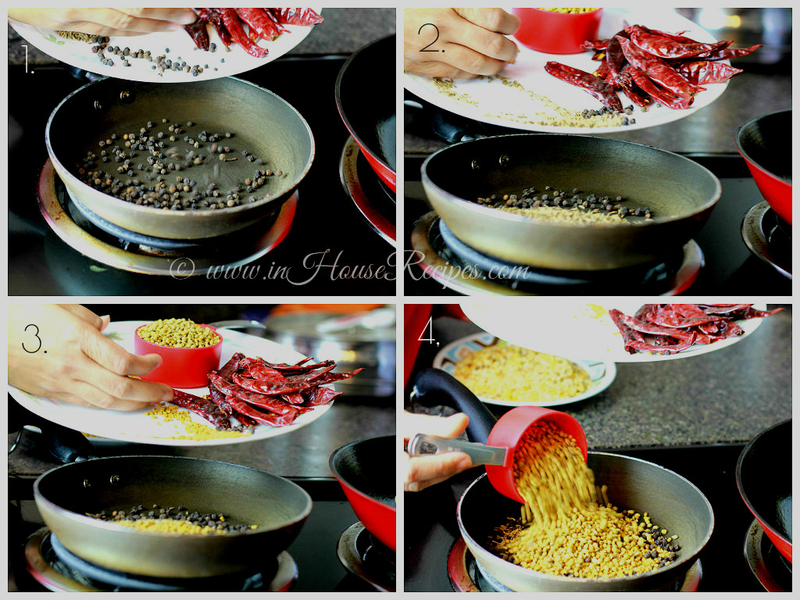 Do not switch off the stove, add Black Pepper, Dry red chilies, Fenugreek Seeds, Cumin Seeds and Coriander Seeds in the same pan. Roast the spices on medium flame until they achieve light golden color. It should take approximately 3-4 minutes. 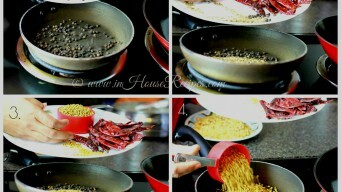 Switch off the stove and take out the roasted spices in a plate and keep them aside to cool down. 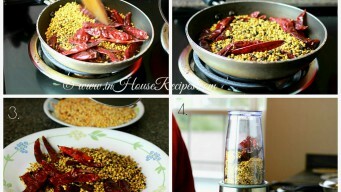 Once they cool down completely, put all the roasted spices and Lentils in a grinder jar. Grind them and make a fine powder. 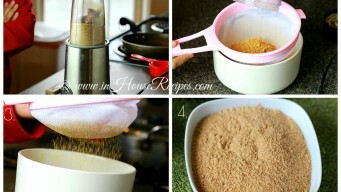 Once done, sieve the powder to remove all the raw particles. 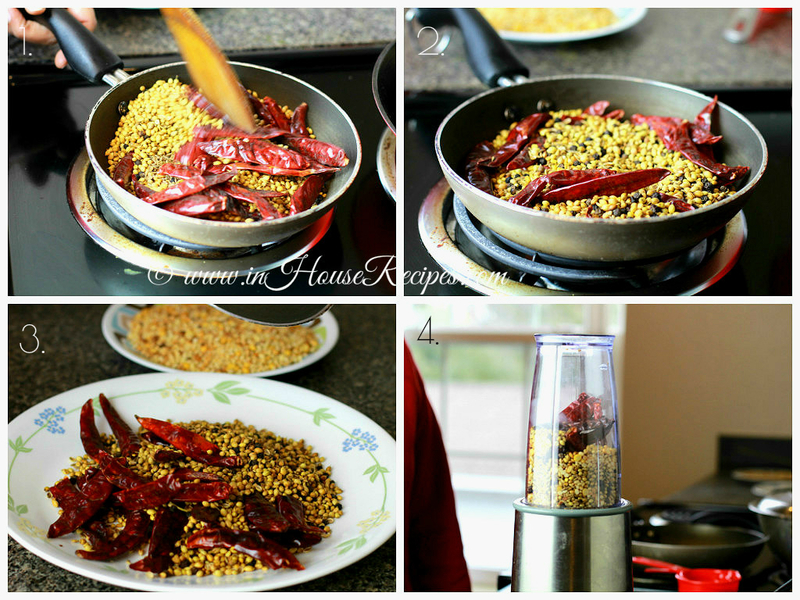 You can grind the raw particles again and mix it in Sambhar Masala. You can preserve this powder for up-to 12 months by storing in an air-tight container. It does not need refrigeration. The masala is already roasted and hence can be directly added to boiled vegetables or a soup or Rasam to quickly serve the final dish. It does not need additional roasting time while cooking the final dish. If you know of a better way or variation to improve this recipe, please do share in the comments and we would like to try it.